United States Geological Survey shake map for the April 16 earthquake; a maximum Mercalli intensity scale value of 8.8 was observed just east of Kumamoto City. The 2016 Kumamoto earthquakes happened on April 14−16, 2016 near Kumamoto Prefecture in southern Japan. A foreshock of magnitude 6.2 on the Richter scale happened on the evening of April 14 at 21:26 Japan Standard Time. The main earthquake happened at 1:25 am JST with a magnitude of 7.0 on April 16. A total of 48 people died in the two earthquakes. About 3,000 more were injured. There was severe damage in and around Kumamoto. Many structures including Kumamoto-Castle fell and some of them caught fire and infrastructures, especially water, electricity and gas supply are destructed. More than 44,000 people had to leave the area because of the disaster and most of them suffer hard living in shelters. ↑ "M7.0 - 1km WSW of Kumamoto-shi, Japan: Shake Map". United States Geological Survey. April 15, 2016. Retrieved April 15, 2016. ↑ 2.0 2.1 "M7.0 - 1km WSW of Kumamoto-shi, Japan". United States Geological Survey. Retrieved 2016-04-15. ↑ "M7.0 - 1km WSW of Kumamoto-shi, Japan". earthquake.usgs.gov. Retrieved 16 April 2016. ↑ 4.0 4.1 平成２８年４月１４日２１時２６分頃の熊本県熊本地方の地震について [About the earthquake in the Kumamoto area of Kumamoto Prefecture, around 21:26, April 14, 2016]. Japan Meteorological Agency (in Japanese). 2016-04-14. Retrieved 2016-04-15. ↑ =緊急地震速報の内容 [The contents of the Earthquake Early Warning]. Japan Meteorological Agency (in Japanese). 2016-04-14. Retrieved 2016-04-15. ↑ "M6.2 - 7km SW of Ueki, Japan". United States Geological Survey. Retrieved 2016-04-15. 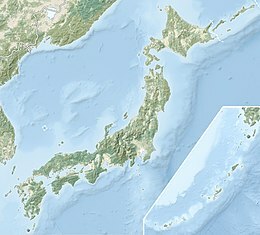 ↑ "US Forces Deliver Aid to Japanese Quake-Hit Areas; 44 Dead". NY Times. New York Times. Retrieved 18 April 2016. ↑ "Last Kumamoto quake victim ID'd, leaving death toll at 50". The Japan Times. 2016-08-14. Retrieved 2016-10-17. ↑ "70% of Kumamoto victims died in collapsed homes：The Asahi Shimbun". Asahi.com. 2016-05-01. Retrieved 2016-05-09. ↑ "M7.0 - 1km WSW of Kumamoto-shi, Japan". USGS. Retrieved Apr 16, 2016. This page was last changed on 18 April 2019, at 14:15.